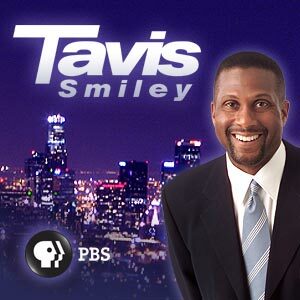 Click here to watch Brian on Tavis Smiley (October 18, 2013). …and click here to watch the Web Extra. Brian talks — and talks and talks — with David Hosay at WBKO, for a comprehensive, in-depth interview. Click here to hear Brian talk and talk and talk. Brian talks with Radio New Zealand about the origins of Kermit the Frog, finding Fozzie Bear, and Jim Henson as the ultimate businessman. Click here to listen to Brian on Radio New Zealand! Brian chats with Oline Eaton of New Books In Biography, about Jim Henson, the Muppets, and making the world a better place. Brian discusses Jim Henson: The Biography with Larry Mantle on AirTalk on Southern California Radio KPCC. Brian participates in A Bit of A Chat with Ken Plume, where they discuss Jim Henson, Muppets, the “choreography of the unseen,” Washington Irving, and Daily Show mugs. Click here for A Bit of A Chat with Ken Plume. Brian discusses Jim Henson for a full-hour segment on The Jim Bohannon Show. 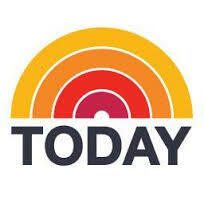 Brian talks Muppets and Jim Henson with Bill Leff and Wendy Snyder on WGN Radio, Chicago. Brian Jay Jones talks Jim Henson: The Biography on The Diane Rehm Show, with special guest Dave Goelz. Brian sits down with Deborah Kalb to talk Washington Irving, Jim Henson, and the intimacy of biography. In this two-part interview, Jim Henson biographer Brian Jay Jones talks Jim Henson and the art of biography with Biographile. Jim Henson excerpted on Salon.com. Two of the most iconic shows of the ’70s have an amazing, awkward linked history — but needed each other to begin. Jim Henson featured in The Atlantic. A new biography sheds light on the many careers of the late artist, including his live-action experimental filmmaking. Jim Henson featured in Parade. Random House launches a book trailer for Jim Henson: The Biography. Jim Henson featured in Hemispheres and Spirit magazines. …and here’s the full-pager in Spirit magazine. Jim Henson selected as an Amazon “Book of the Month” for September. Jim Henson is one of Goodreads’ “Movers and Shakers” for September. It’s an exciting fall if you’re a fan of biographies—a diverse cast of luminaries are investigated this fall in books by writers who’ve spent years researching their subjects’ lives. Expect big buzzworthy bios on everyone from Jeff Bezos to Jim Henson, along with the return of Bridget Jones, a Stephen King sequel and a cloaked-in-mystery outing from J.J. Abrams. Brian Jay Jones (Washington Irving: An American Original) has written a defining biography on the life of the Muppets creator Jim Henson. Jones answered a few questions about working on this stellar book.